1″ OD flare x 3/4″ MIP adaptor gas fitting adapts to appliance inlet. 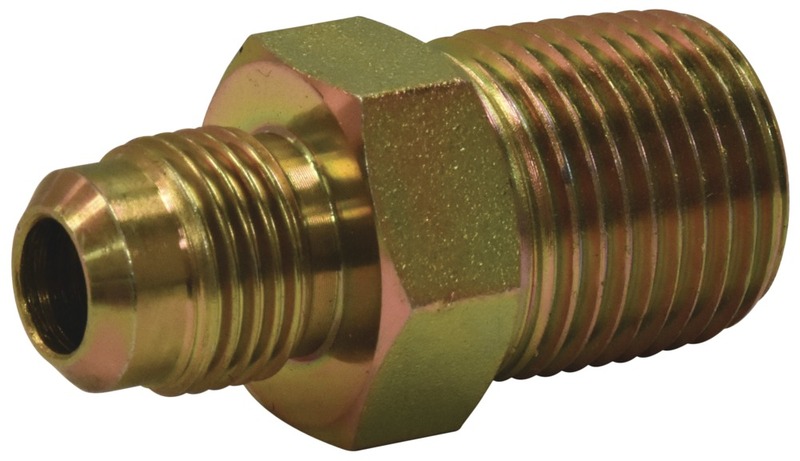 Flare fitting connects to gas connector nut. MIP connect to the gas appliance inlet, gas ball valve or gas supply stubout.